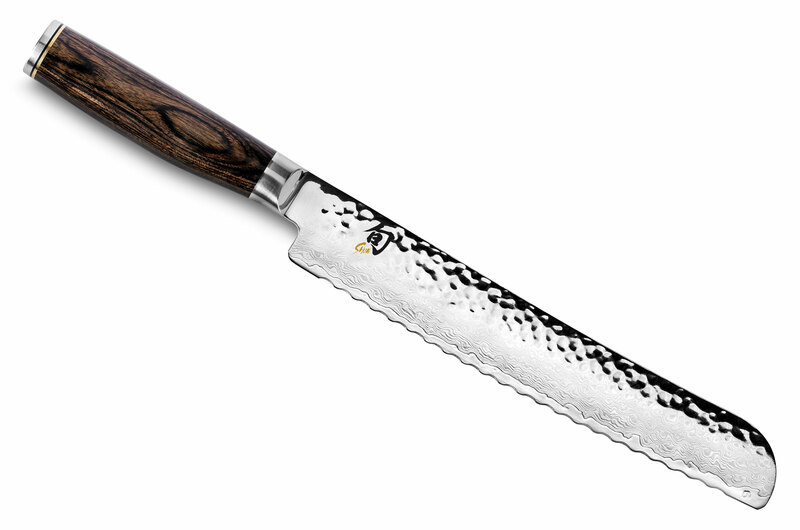 The Shun Premier Bread Knife will be one of the most-used knives in your kitchen, if you bake or buy whole loaves of bread. Whether you love wonderfully crusty or delicately tender bread, the Shun Premier Bread Knife will be your loaf's new best friend, no matter what texture of bread. 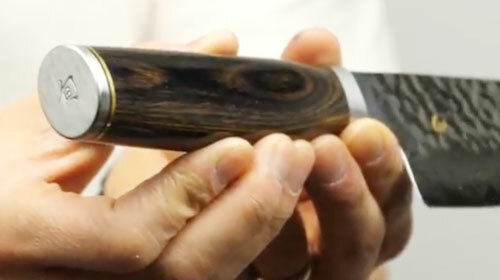 The key is Shun's razor-sharp, wide, "low frequency" serrations. Unlike a plain-edged knife, the serrations let you gently saw through the bread without crushing and with much less crumbing. Unlike saw-tooth serrations that are spaced closer together, the Shun Premier Bread Knife's wide serrations will gently glide through the bread without tearing. This keeps the bread's texture intact and enhances eating pleasure. 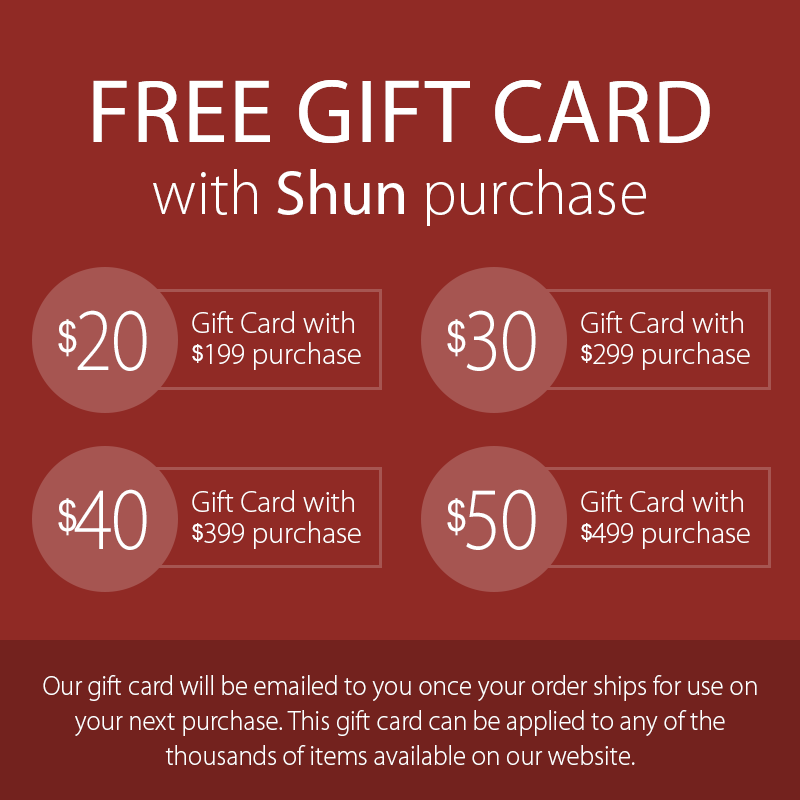 Cakes and pastries also benefit from the Shun Premier Bread Knife's smooth cutting capabilities. 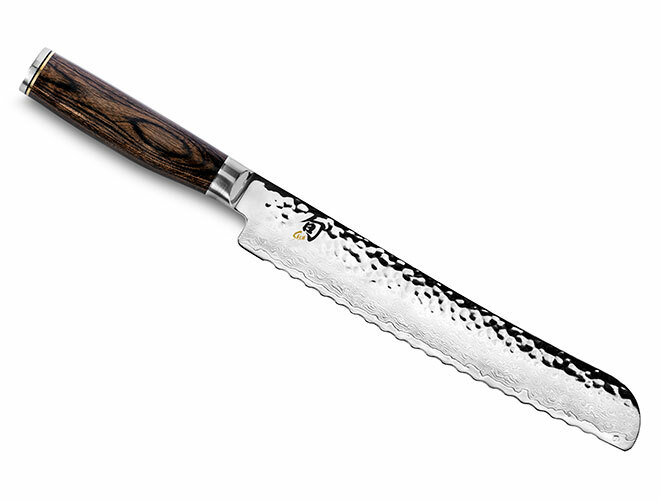 https://www.cutleryandmore.com/shun-premier/bread-knife-p116638 16638 Shun Premier 9" Bread Knife https://cdn.cutleryandmore.com/products/large/16638.jpg 194.9500 USD InStock /Cutlery/Bread Knives The Shun Premier Bread Knife will be one of the most-used knives in your kitchen, if you bake or buy whole loaves of bread. Whether you love wonderfully crusty or delicately tender bread, the Shun Premier Bread Knife will be your loaf's new best friend, no matter what texture of bread. 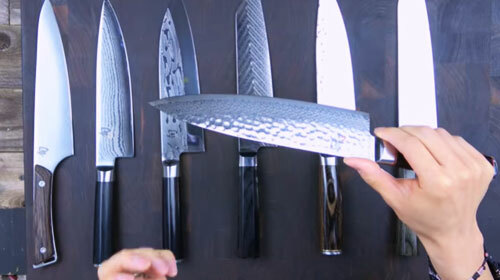 The key is Shun's razor-sharp, wide, "low frequency" serrations. Unlike a plain-edged knife, the serrations let you gently saw through the bread without crushing and with much less crumbing. Unlike saw-tooth serrations that are spaced closer together, the Shun Premier Bread Knife's wide serrations will gently glide through the bread without tearing. This keeps the bread's texture intact and enhances eating pleasure. Cakes and pastries also benefit from the Shun Premier Bread Knife's smooth cutting capabilities.